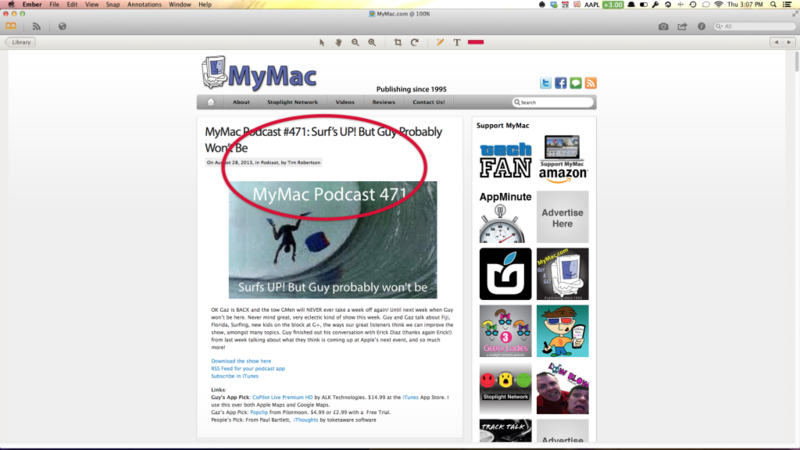 As a writer here at MyMac and other sites, I am constantly taking screenshots for articles. Normally I take a screenshot and use an app called Sharpshooter to rename it and then I save it right to my desktop. Eventually, my desktop is a screenshot mess. Ember, by Realmac Software, is a screenshot taker/organizer to avoid that desktop mess. Think of it as iPhoto for screenshots. First, I’ll cover the screenshot tool. When you open Ember it places a menu in your menubar that can be accessed from anywhere. It allows you to take screenshots like you normally would. However, taking a screenshot through the menu will store the shot in your Ember library. You can also take screenshots through Ember itself if you need to take a shot of a shot. 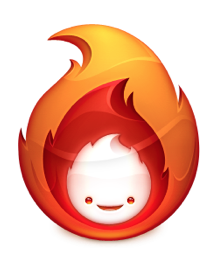 In fact, the shot below is a shot of Ember taken by Ember. The other great part of the screenshot tool in Ember is the built in web browser. Let’s say you want a screen shot of an entire webpage but it will not fit on the screen. A typical screenshot will only take what you see. Well, Ember has a built in browser that allows you to take a shot of the entire website no matter how long it is. 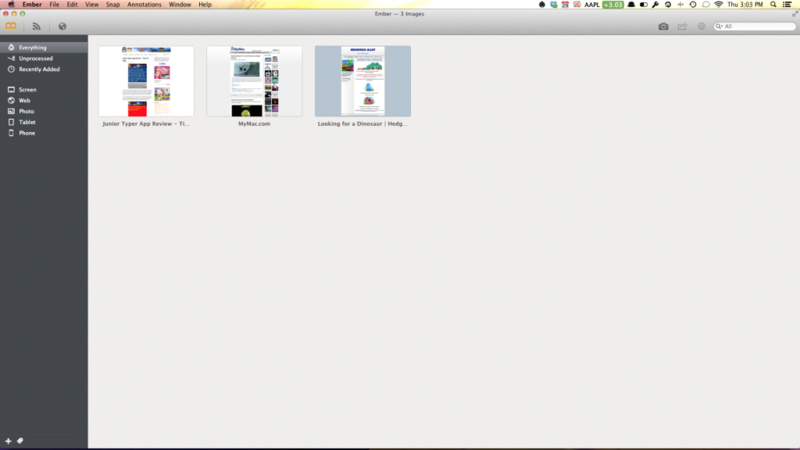 I took a screenshot of MyMac.com and got the entire page stored in an image file in my library! Fantastic! If you don’t want to use the browser in Ember you can install a browser extension in Safari, Chrome or Firefox and you can do the same thing within the browser of your choice! Next up, the library. Like iPhoto your images in Ember are stored in a library. In the library you can sort your shots in collections (like albums). You can also easily rename the images also, and tag them for easy searching. Ember also has mark up tools for marking up any shot and making notes on it. I really like how Ember takes a rough circle or square or a line and smooths it out for you. You can then share that edited screenshot from within the app to email, Twitter, flickr, Messages, and more sharing services. There is also one other feature of Ember that is pretty cool. You can subscribe to other image sites for finding screenshots you might want in your library. You can find sites to subscribe to or use the built-in sites. Overall, Ember is a fantastic screenshot utility. It is easy to use and a beautiful app. I really like it. It might be a little pricey for some at $49.99, but if you live in screenshots you will get your money’s worth.